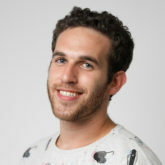 Yuval Keshtcher is an product manager at Musico.io and the Founder of Microcopy & UX Writing, a worldwide movement helping writers and creatives enter the tech industry while staying inspired. Microcopy project and blog at FB can be find here. Yuval’s articles publised at Medium on product design are here. WHY YOUR PRODUCT TEAM SHOULD HIRE A WRITER? Creating a digital product is a lot like writing an interactive story. And to tell a compelling story, it helps to have a writer in the room. In case you haven’t noticed, more and more product teams are starting to hire writers — writers who understand digital products. Join this talk if you are eager to learn about the content first approach and all of the delightful digital products can be created using the art of content design.